"Emma (pub. 1816) was written when Jane Austen was at the height of her powers. In it, we have her two greatest comic creations - the eccentric Mr. Woodhouse and that quintessential bore, Miss Bates. In it, too, we have her most profound characterization: the witty, imaginative, self-deluded Emma, a heroine the author declared "no one but myself will much like," but who has been much loved by generations of readers." I really enjoyed re-reading this novel. I had forgotten how complex and rich Austen's novels were. 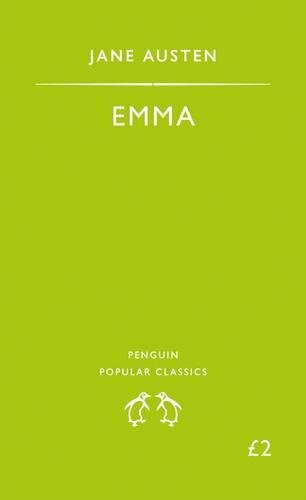 I kept remembering the recent "Emma" film (with Gwynneth Paltrow), but the original novel is so much more detailed! I'm intending to re-read a few more Austen novels alongside the "Jane Austen Bookclub"..